Get to know Negombo in one go, without transport hassles, on this private tour. Travel by private vehicle with a driver-guide for insight into the city's history and the lives of locals—observations you’d likely miss by yourself. 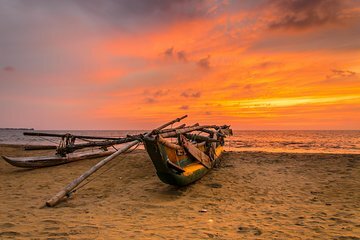 Visit the colonial-era Dutch Fort and St. Mary’s Church, and see the Fish Market and Negombo Lagoon to discover the hardships of the fishing community. Hotel pickup and drop-off provide added convenience.